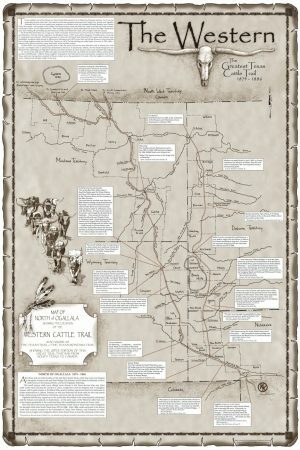 View cart “The Shawnee Trail System (1846-1875)” has been added to your cart. 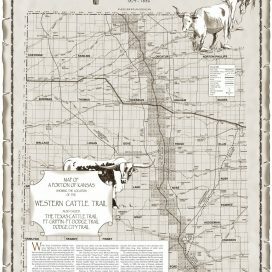 This map shows the Western Cattle Trail north of Ogallala, Nebraska. 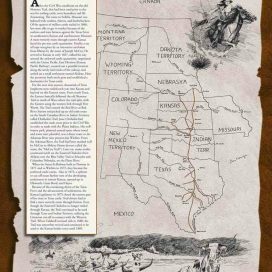 One major splinter route turns north from the trunk line at Sidney Bridge and goes through northwestern Nebraska and into Dakota Territory. 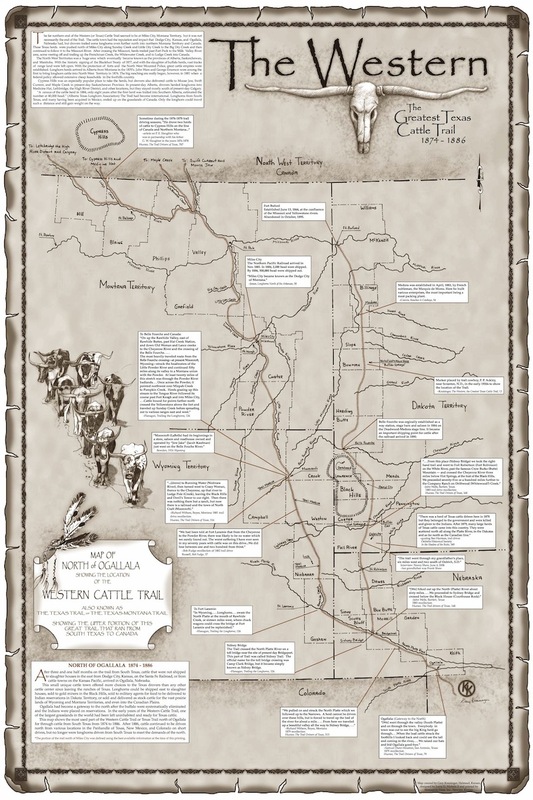 This route was used to deliver herds to mining camps in the Black Hills and to Indian reservations. 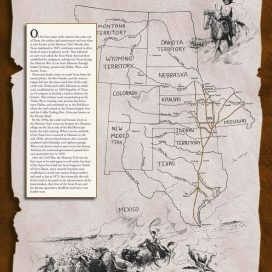 It went as far as Fort Buford. 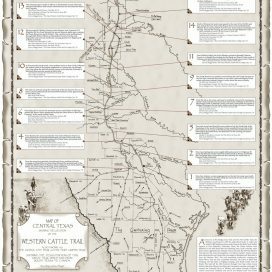 The other route shown is the trunk line of the Western Cattle Trail, turning north at Rawhide Creek in Wyoming Territory and going across Wyoming and Montana Territory and on into Canada. 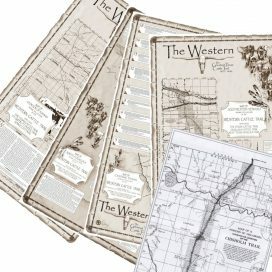 Along the sides of the map are “bullets” that give sources for the location of the trail.